Your food will receive "Lip smacking", "flavorful", "Delicious", and many more compliments. Your organized space in the restaurant will be a compliment, too; however, all that to delight the senses, what about appreciating the marketing and branding? The first thing that customers take up is the menu. The menu is the guide and a deciding factor of their dining. Be it online or offline, from your business to your sales, the menu card design is one key to grab the audience. A well-designed menu can become a tool for influence to order more. So, optimize it and draw attention to the higher margin items. SEE ALSO: How To Make A Good Logo With DesignEvo? You definitely do not want the customers to get bored of reading your thesis-like menu. If the customer has to read 10 pages of your menu, they might get unsatisfied by having too many choices. However, that is not what the problem is, the pressure of deciding quickly, is. 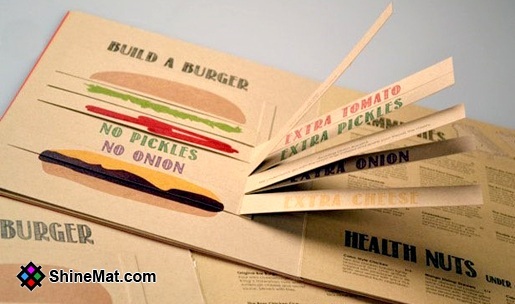 It is nice to have a wide array of choices to offer, but make sure you tighten the menu and design it considerately. If it is particularly a coffee shop menu designs it concise and pictured. Give your customers, an impression of variety; but you should also analyze to top-up the best-selling items. Also, remove the underperformers. In other words, plot your menu. Select and deselect the costing, pricing, and order of the dishes to view extensively on the menu. Customers will enjoy having the value-for-money, and wallet-intact prices. So pricing is a crucial factor, considering the competitiveness in the market, locality, and sales. The presentation can be high-end and elevated as you can imagine, but the pricing cannot. Customers have become insightful and can potentially decide if the menu item’s price is reasonable or not. The cost of the food should be roughly 28-30% of the selling price of the item. Adjust your margin, if the selling price turns out to be higher, as customers must be willing to invest that much, too. You can calculate the final food cost, by adding the cost of ingredients and the cost of purchasing. It can include the delivery charges, interest, return charges, or other labor costs. MUST READ: How To Use Colors In Graphic Design For Impact? Piece by piece and aspect by aspect, finalize the menu price and categorization, from high profitability to low profitability items. Once you finish the technical aspects, focus on the design and layout of the menu. While designing the menu, try to reflect your business in that. Suppose, if you are running a café, the coffee shop menu design has to be themed like a brunch, or light snacks. Do not add too much of creativity, or do not add too much modesty. Warm and earthy color tones are the popular choice of the menus. It looks elegant and easily comprehensible. When it comes to menu descriptions, a sentence or two about the food item is sufficient. If you really go on describing every item, it might become unrequired for some or over-written for the others. Write it such effectively, and describe it so exactly that it stimulates the sense of your customers. Make sure that you do not add too many jargons in the description and the words are easy to understand. On the other hand, you can also use the images or drawings of the items to strike a picture in the minds of customers. Being a tool to win the loyalty of your customers and grab a bigger customer base, your menu card must be simple, minimalistic, and interesting to look at. Reflect your business on that and present your food items, well. Do not forget to break the monotony by being outstanding. Hermit Chawla is a Marketing Manager at Sprak Design. He would love to share thoughts on Best Restaurant Menu Designer, Lifestyle Design, Branding Firm, Exhibition design etc..